I've discovered the wonders of NetGalley! Love Netgalley too! They all look like great books! Tyger Tyger is really good! The mythology alone is worth it. :-) Happy reading! I've been dying to read Tyger, Tyger for MONTHS! Loved Luxe by Anna Godberson, but I never read the rest of that series. I'll be interested to hear how you like Bright Young Things! PS: I investigated the link that you sent me about the Narnia reading order, and I thought it was pretty fascinating! I think I might actually post that page in my library next to the Narnia books. Thanks for filling me in! You got some great books this week! I really want Bright Young Things. I've read the Luxe series and enjoyed them, so I'm sure these will be great as well. Happy reading this week! Awesome stash, you have a lot of the one I want to read in there. Happy Reading!! I'll see how you enjoy them first. OHMYGOSH yes to NetGalley, right? But I feel they've spoiled me so much now. A great library stash this week too. Enjoy! Awesome IMM! =) Thanks so much for commenting and following me =) Btw I'm a new follower. Some nice books you have picked up!! I have heard a lot of good things about Bright Young Things. Great stuff! I really enjoyed Tyger Tyger! Doesn't NetGalley have wonderful choices? I just downloaded My Soul to Steal and I recently got The Iron Queen. 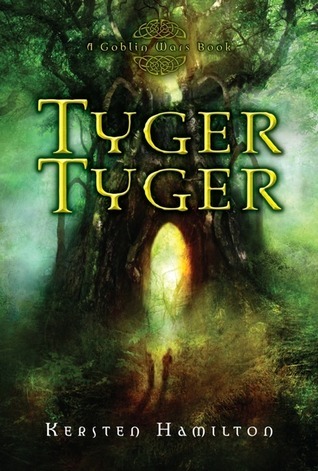 I loved Tyger, Tyger and need to get a copy for my Media Center soon. My YA mailbox is here. Happy reading! Nice set of book and I envy you for Misguided Angel. What a great cover! Loved Tyger, Tyger! I really want to read Bright Young Things - need to move that up the list I think! Great IMM! :) I still need to pick up the first book in the Blue Bloods series! Great books this week :) Have fun reading. Yay for Tyger Tyger! I thought that one was a fun, quick read and I'm really looking forward to book 2. I've heard fabulous things about Bright Young Things as well, can't wait for your review of that one! Great books!! I want to read Secondhand Charm by Julie Berry. I hear so many good things about NetGalley. I'm hoping for an eReader for Christmas because I refuse to read books on my computer. Spend too much time in front of a monitor as it is. Tyger Tyger looks pretty good. I've never heard of the other ones. Maybe after I read one of your reviews you'll convince me... Happy reading! Loved Wicked Lovely! I'm actually typing up my review of Tyger, Tyger, right now. I'll be interested in seeing what you think of it. I keep hearing people mention net galley and I still don't know what it is. Great mailbox! Enjoy! Great books! Wicked Lovely was a fun book to read. 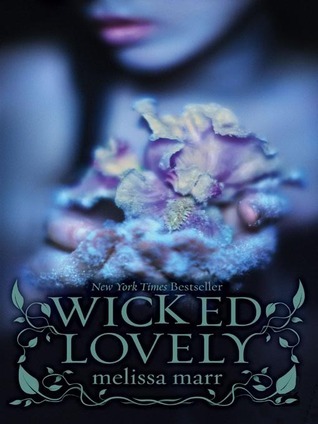 I absolutely adored Tyger Tyger and Wicked Lovely is also one of my favorite books. You've gotten some awesome one--enjoy! Amazing books! I get Tyger Tyger as well and I can't wait to read it! Bright Young Things looks great. Happy Reading! Bright Young Things looks super cute! I want to get my hands on that soon! I just discovered NetGalley too and so far it seems pretty fantastic :) I really enjoyed Bright Young Things and I just got Wicked Lovely from the library. Enjoy your books! I also praise the wonders of Netgalley. I can't recall who or what site introduced me to it but I'm glad he/she/it did. Great books you've got this week! Thanks for stopping by my blog! Great books too! Bright Young Things and Wicked Lovely sound great! Happy reading this week :) And I'm a now following you. I need to try netgalley again. At first, I could not get the galleys to work on my nook. Love the cover for Misguided things. Yes, Net Galley is the best. Great book loot. Some great books this week! I've just joined Net Galley, I need to get involved with that and sort my profile out! It looks like you have some pretty interesting books there, I love Melissa Marr's books.